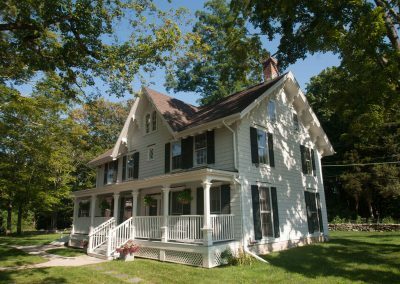 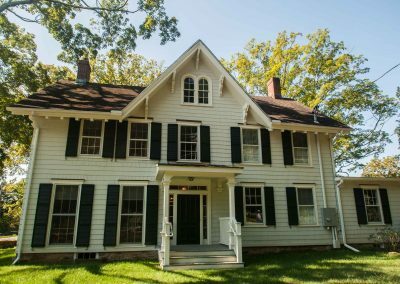 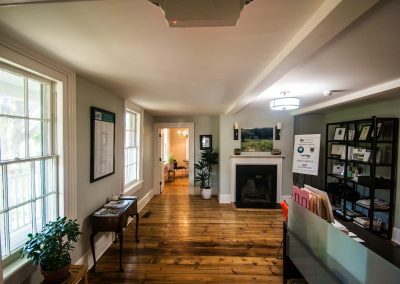 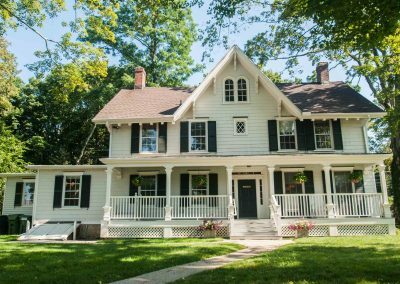 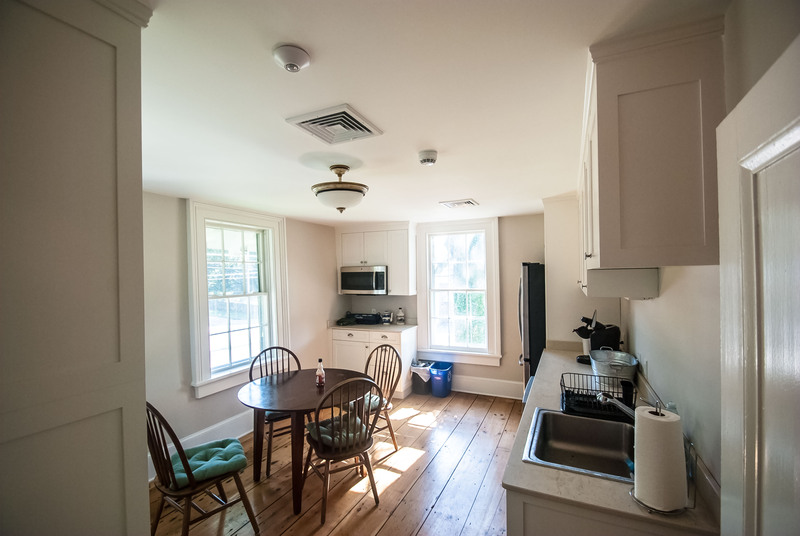 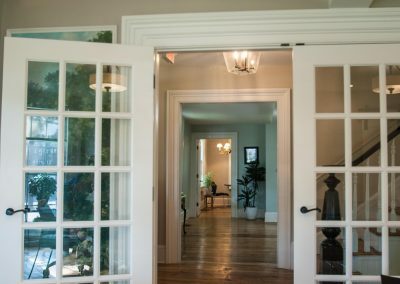 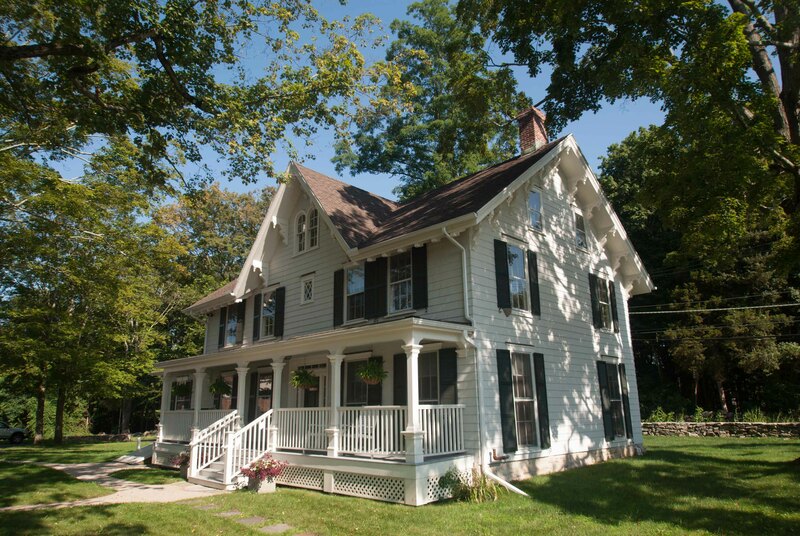 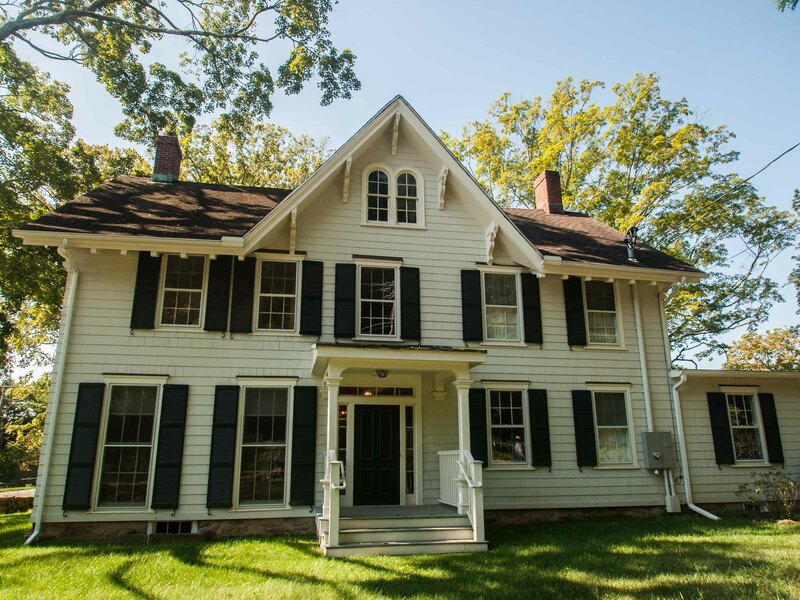 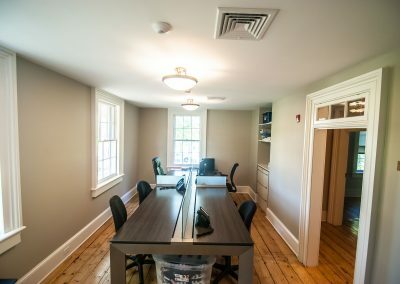 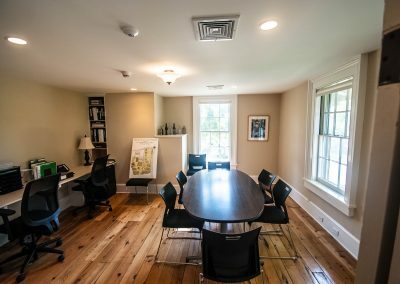 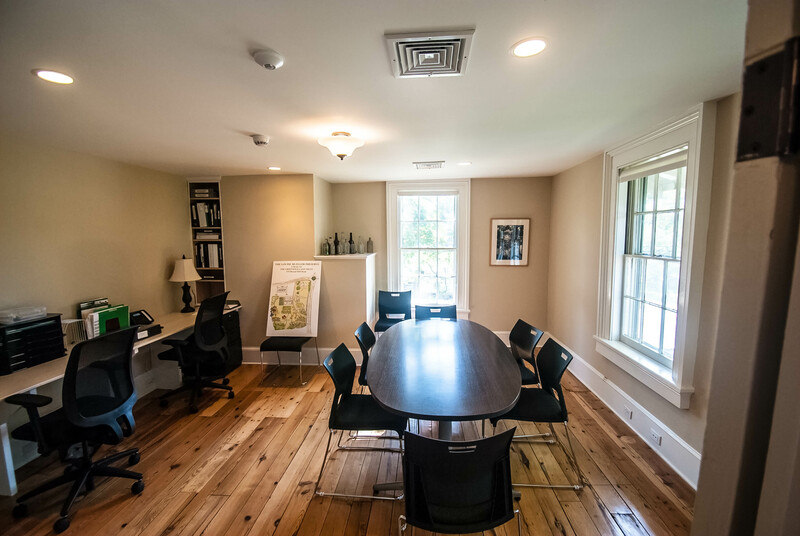 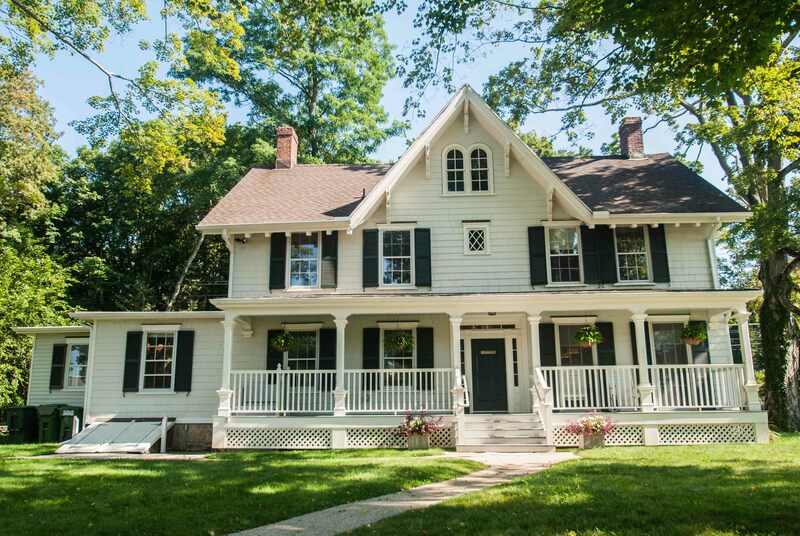 The Land Trust | Auburn Landing Inc.
Renovation/Restoration of an old property and structures is a special category of construction that Auburn Landing has often gravitated towards. 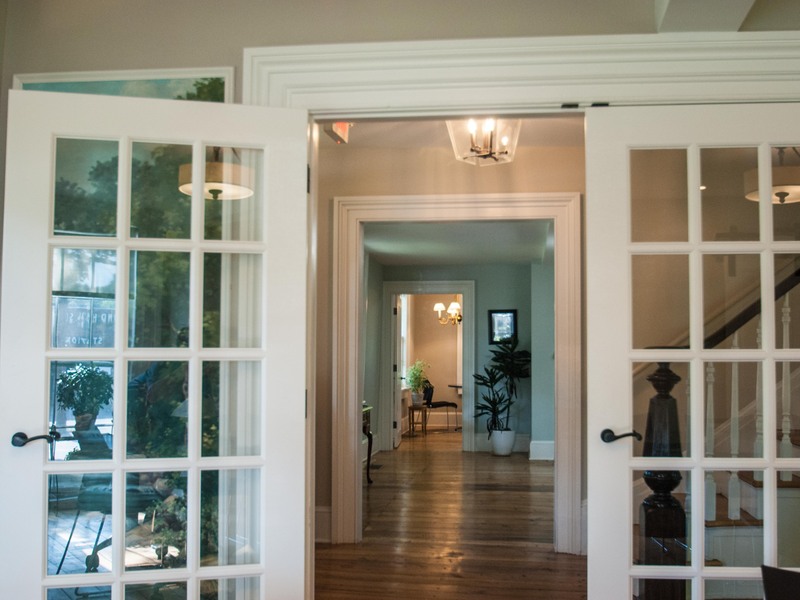 The surprises, challenges and discoveries that entail are all satisfying to work with. 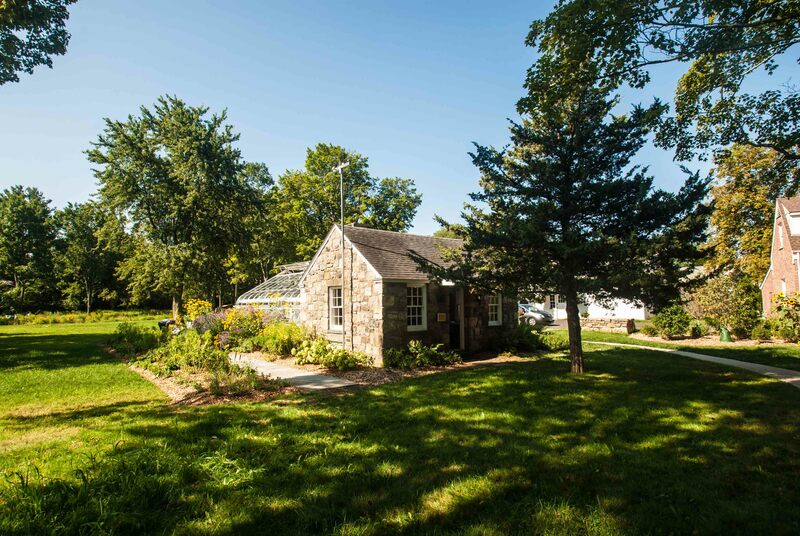 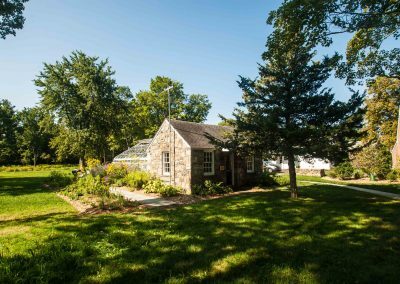 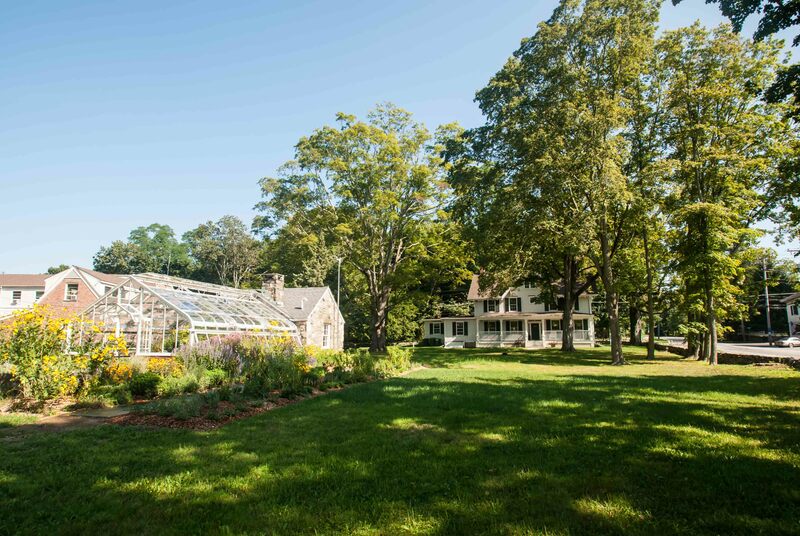 In this case the Land Trust was given a four acre property including a 1910 Farmhouse, a stone potting shed, a greenhouse foundation and several barns and outbuildings. 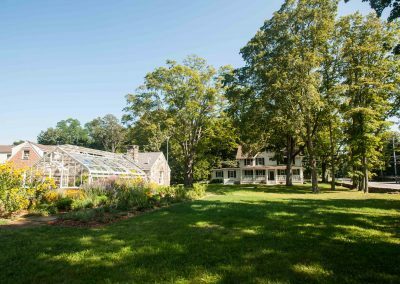 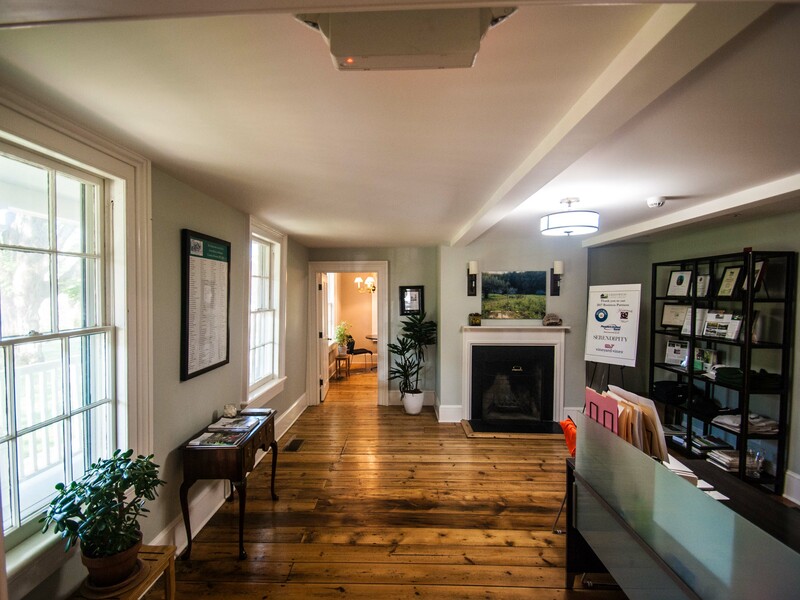 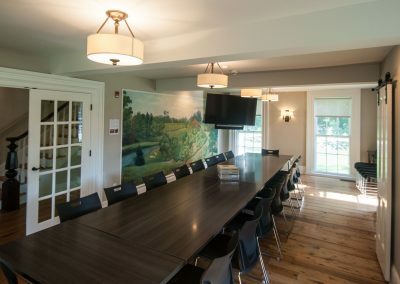 The design intent was to renovate and re-purpose the property into the new offices for the Greenwich Land Trust including a fully operational greenhouse. 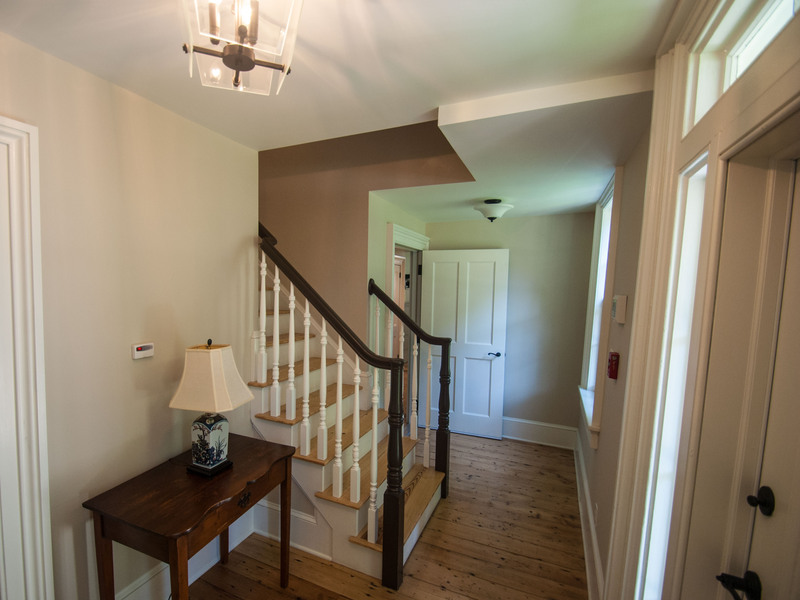 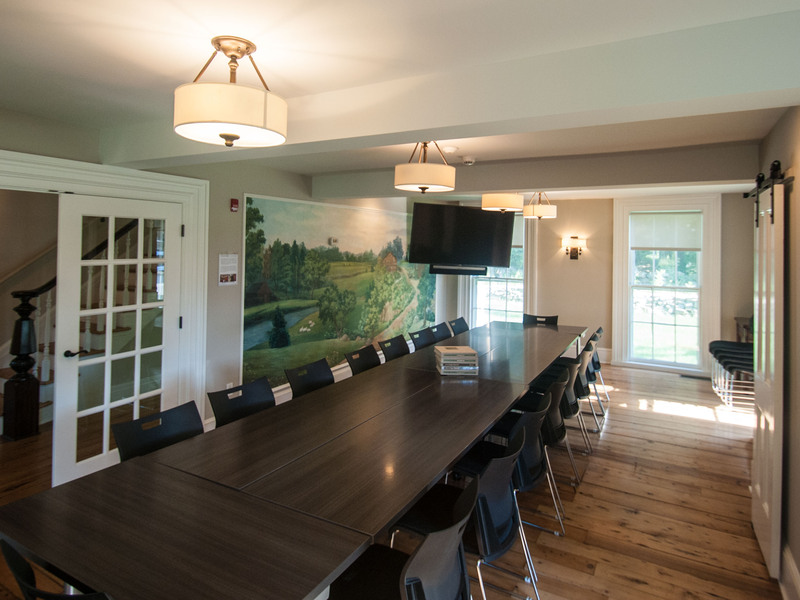 Because the architect and building committee were committed to preservation and were open minded about options, we were able to save much more of the existing structure and details than first anticipated. Pine floors were saved and patched; post and beam frames were shored up and kept; the old clapboard siding underneath vinyl was salvageable and kept. 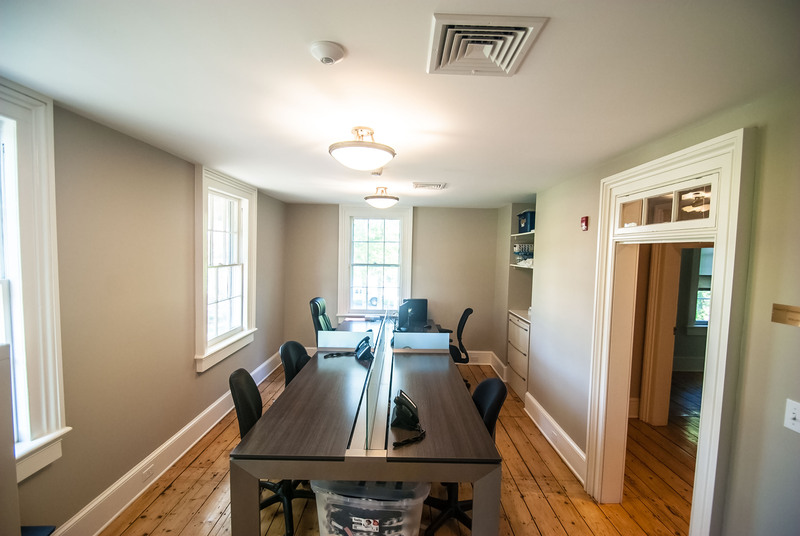 The conversion of old residence to modern office also called for some innovative thinking. 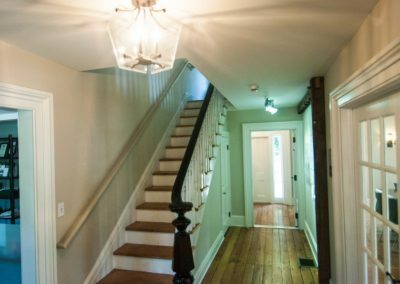 ADA compliance including a wheelchair lift rather than a thirty-foot ramp was functionally obtained while still maintaining the “farmhouse” character that was the intention of the benefactor. 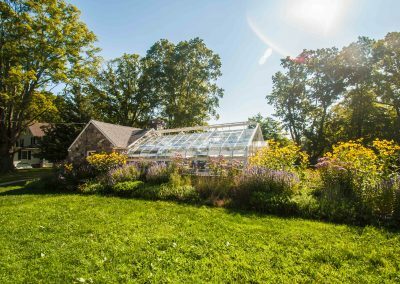 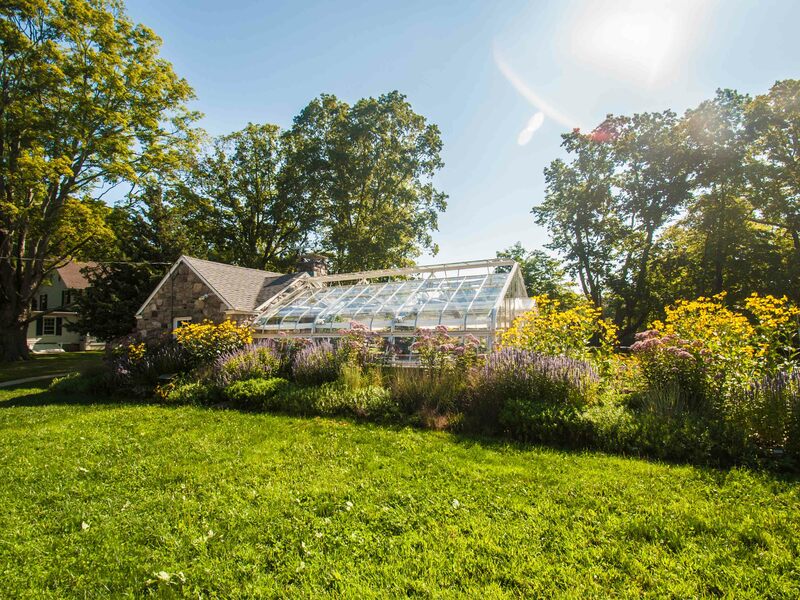 An old greenhouse that fit the foundation was found, refurbished and installed to provide a working greenhouse for the Land Trust. 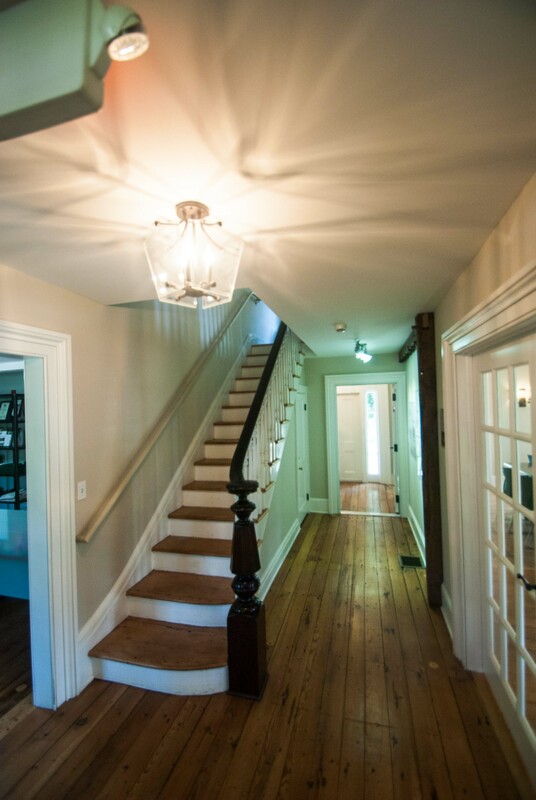 There is a profound satisfaction in preparing an old structure for the next 100 years of it’s lifespan. 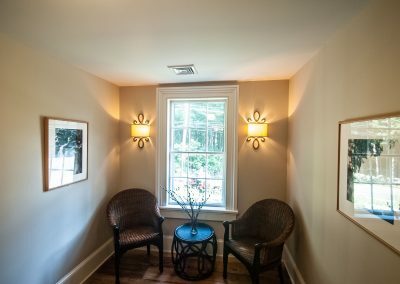 &copy 2017 Auburn Landing Inc.